Jeremiah Jay Newton ("JJN") is gayly proud to be an actual veteran of the historic 1969 Stonewall Rebellion. The uprising was "the launching of the largest civil rights movement in the world", as stated by Jeremiah. The Stonewall Club was not new to "Jerry" as he had been a happy patron since it opened as a Gay club in January of 1966. He vividly recalls "Long Live Our Love", "Strangers In The Night", "My World Is Empty Without You", "The More I See You", "These Boots Are Made For Walking", "Standing In The Shadows Of Love" and "You Don't Have To Say You Love Me" among many other 1966 hits at The Stonewall Club. Despite -- or because of -- the local Mafia ownership, Jeremiah recalled, "It was always a fun and safe place to go and have fun". 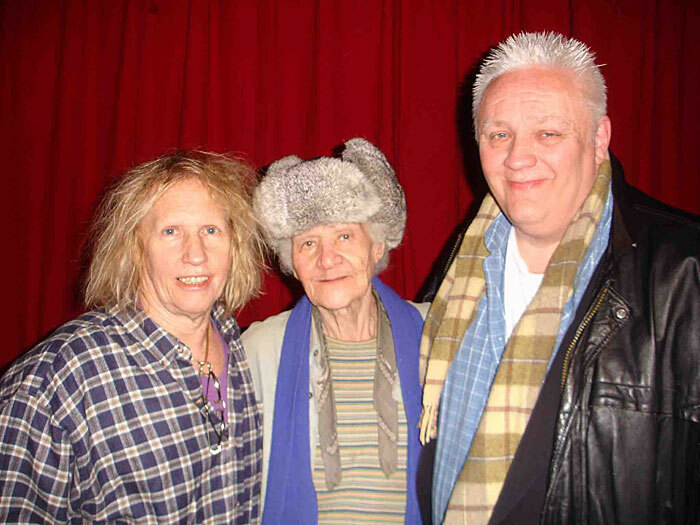 Jeremiah was very good friends with the legendary transexual Candy Darling. He was part of the Andy Warhol circle of friends. Jeremiah knew Williamson Henderson from The Stonewall dance club as a regular, memorable, young patron. In those Gay years, you would nod or say "hi" when you saw someone you recognized from the clubs or the streets. Jeremiah also knew the infamous Terri J. Van Dyke from the Gay streets such as Christopher Street and Greenwich Avenue. They would later become longtime friends. Jeremiah remembers other Gay Greenwich Village characters such as "Rollerina", who skated through the streets at night in a tattered wedding dress, wearing big rhinestone glasses and waving a silver star wand. During the day, "she" was a Wall Street banker. In 1969, Jeremiah vividly recalls the new, shiney, flashy blue Cadillac convertible with the top down (even in April) parked somewhere on the Stonewall block. "Anyone seeing that car, then or now, would be hard-pressed not to remember it." After partying in the neighborhood and at other Gay clubs, Jeremiah was outside The Stonewall on the very first hot night of the rebellion on Friday, June 27, 1969. Jeremiah Newton was instrumental in the re-launching of the STONEWALL Veterans' Association ("S.V.A.") as a fully-active entity at the pivotal time of "Stonewall 25", an international event anchored in Manhattan, New York -- "where it all ignited"! Jay, as many of his friends and colleagues call him, was keenly and disheartingly aware that now "there were many outside Gay, Lesbian, Bi and Transgender (GLBT) forces, selfish GLBT groups and egotistical GLBT characters were trying to steal the limelight place in history of the Stonewall Veterans". He convinced Williamson Henderson, Terri Van Dyke, Bill Salzman and others in the S.V.A. that we must vigorously put an end to the disrespectful situation. The Heritage of Pride ("HOP") group, which organizes (since 1986) the annual gay parade in Manhattan, was the worst offender of the attempted hijacking of "Stonewall". Thus, Jeremiah helped re-establish the S.V.A. as a very "significant, visible and activist force in our great City and beyond". Those exact quoted words were delivered in writing to the S.V.A. prior to and since "Stonewall 25" by none other than the great New York City Mayor Edward I. Koch. Please see the S.V.A. "Public Officials" support letters section of our website to read the full EIK letter. After the -- not one but two -- huge, historic "Stonewall 25" marches, Jeremiah was on stage at The Rally in Central Park with 24 other Stonewall Veterans on Sunday, June 26, 1994. In fact, Jay was crucial in ensuring that the Stonewall Vetz were formally and properly presented on stage -- and to speak and to complete their presentation! Originally, the odd "planners" thought the Stonewall Vetz should be seen (and used and exploited) but not heard. "What were they thinking? ", querried Jeremiah. The fact is, they weren't! Jay & The Stonewall Veterans (the GLBT namesake of the singing group Jay & The Americans) were having none of that rude dish. The echoing, harmonious chants of "Thank you... thank you... thank you... thank you... thank you....", by the estimated one million strong, enthralled audience, remain a heartfelt inspiration for Jeremiah to remain active in preserving the vital legacy of "Stonewall", the S.V.A. and promoting the stature, the rights and the activities of the Stonewall veterans. 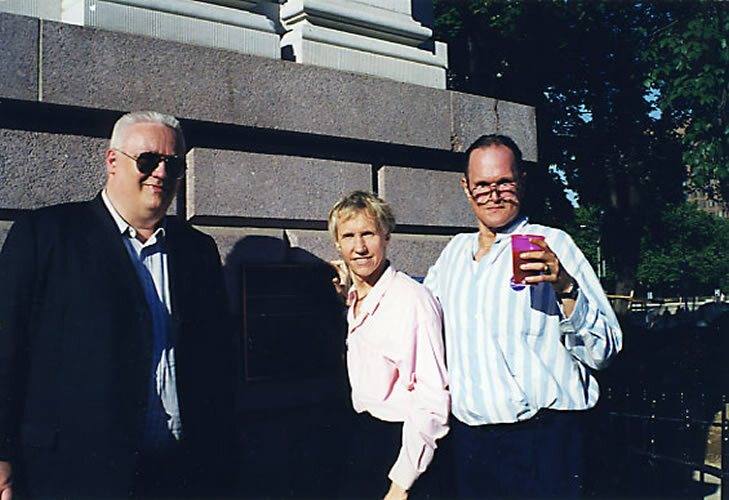 In January of 1995, Jeremiah was elected as the second President of the STONEWALL Veterans' Association, to succeed the ground-breaking, enduring and successful tenure of Williamson Henderson. In kind, Jeremiah then persuaded the latter to be Vice-President. Jeremiah served as the S.V.A. President for nearly three years until October 1997. In most organizations, especially a specialty group like the S.V.A. with its unique and challenging responsibilities, there is a limited pool of candidates who can be a fully knowledgeable and effective leader. So, the S.V.A. members demanded that Williamson be President again. Jeremiah returned again to the S.V.A. a year later in 1998 and was elected as Vice-President for 1999. In mid-2002 when Williamson opted not to be a nominee for S.V.A. President, at the former's urging -- and in their seemingly ping-pong ball presidency -- Jeremiah agreed to carry the proud torch once again. Basically, it worked well for the S.V.A. that Jeremiah and Williamson maintained an almost tag team as S.V.A. President. Jeremiah -- in a field of three candidates -- was once again elected President by the S.V.A. members as of the mid-year S.V.A. meeting on Saturday, July 27, 2002.
in Jackson Heights on Sunday, June 2, 2002. Note: The S.V.A. has lead all Queens Pride parades! The annual International Gay Business Expo & Entertainment Festival in Manhattan, New York, at the Javits Convention Center is a favorite happening involving the S.V.A. "It is very interesting, very exciting, very friendly and, for us, another occasion of a Stonewall veterans mini-reunion. The S.V.A. has a big exhibit and the famous 1969 "Stonewall Car" is on display for all to see and touch every year", proudly declared Jeremiah. Among the many 2003 S.V.A. public events, special meetings and GLBT pride parades that Jeremiah is looking forward to is his hosting, on Friday, June 20th, the annual "STONEWALL Veterans' Association Symposium XXXIV" at the Gay Community Center in Manhattan. The forum with a panel of actual veterans of the 1969 Stonewall Rebellion is most educational for the public. The following week is the Mayor's "Gay Pride Celebration" at Gracie Mansion, which always includes all of the elected officers of the S.V.A. Williamson Henderson at 2003 Gay Biz Expo in N.Y.C. Jeremiah J. Newton is the Film, Television and Video Industry Liaison for New York University's prestigeous Tisch School of the Arts on Broadway in Manhattan, New York. 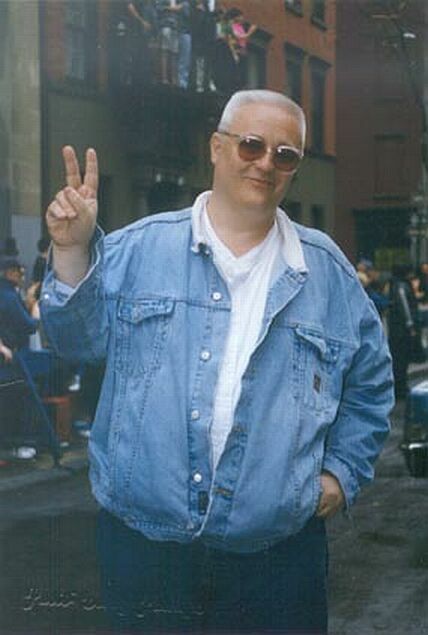 In 1996, Jeremiah was one of the three writers of the independent hit film, "I Shot Andy Warhol". He arranged for fellow Stonewall vet Williamson Henderson to audition for the lead role of Andy Warhol. However, according to various reports and printed sources at the time, British acting icon "Sir" Richard Harris (of "Camelot" fame) pulled Hollywood strings and his son Jared Harris got the Warhol part. The producers, nonetheless, acknowledged that Williamson has much more of the Warhol look, the personna and the acting experience. The movie company greatly appreciated Jeremiah's sharp eye in presenting the former. In the movie, Jeremiah, as an 18-year-old, was portrayed by Danny Morganstern. "The film is largely drawn from my personal journals that I have been keeping for nearly 40 years", stated Jeremiah. Jeremiah is currently working on a project with Lorna Luff, a daughter of Gay icon Judy Garland. "Setting the Record Straight on the Gay Rebellion"
It’s curious that after 35 years, Jerri Hose has finally resurrected himself with a personal attack on me. Let me offer my sincere condolences that “Jerri” allowed himself to be interviewed for dubious David "Know Not Much" Carter’s dubious book. And my deepest regrets to the “author”, who has hatefully succeeded in pitting one veteran of the Stonewall Rebellion against another. How sad that within the gay movement, some of its worst enemies have been other gays. “Passionate” Jerri Hose keeps referring to the Stonewall Rebellion as a “riot”. This word was tacked on to those tumultuous nights and early morning hours by the New York City police and the straight homophobic media specifically to discredit us. Was the Boston Tea Party a "riot" or was it a "rebellion"? There was no looting, pillaging or burning flames at the 1969 Stonewall Rebellion. The police were not beaten up; we were! By using the word “riot”, Mr. Hose discredits his own actions and the rest of the veterans. As for myself, I am innocent of “building myths” regarding my participation in the Stonewall Rebellion. Quite the contrary, I have always stated that I was part of the crowd of hundreds as an observant but frightened teenager who did not want to get arrested. Does this make me less relevant because I was not throwing pennies or empty bottles? Or that Hose does not remember me at the Stonewall Inn? Do I remember Mr. Hose? I certainly do, but let’s not go there. I am proud to say that for the 20th anniversary of the Stonewall Rebellion, I wrote the first major account of the rebellion using my memory, my diaries (I’ve been keeping them since 1965) and newspapers from the time. True, the Gay Liberation Front had many heroes and villains, but as a group it imploded in short order with many of the men denigrating the women, rampant drug use and strong Marxist leanings that created major cracks in its already weakened foundation. Now, as far as Carter’s “in-depth interviews” to which Hose alludes, the STONEWALL Veterans Association, myself included, chose for many relevant and legal reasons not to deal with Carter. If you are interested in learning more, join the S.V.A. at one of our meetings at the Community Center, the last Saturday of each month at 4:15 p.m.. The STONEWALL Veterans' Association has been honored and its members have been keynote speakers at New York City Hall, St. John the Divine Cathedral, Carnegie Hall, Harvey Milk High School, the St. Louis Gay Pride Day, the Cologne German Gay Pride Parade, the Philadelphia Gay Pride Day and at New York City Police Headquarters, etc., etc., etc. I have left out many, many others. The S.V.A. leads the Gay Pride Parades each year in the historic blue 1969 Cadillac convertible “Stonewall Car,” the very vehicle that was impounded by the police on the first night of the rebellion, and was recently reunited with the 1969 Stonewall Rebellion cops and so reported in The New York Times and on CBS national televison, etc. Happily pictured above are (l-2-r): Princess Jenni June, Vice-President of the Imperial QUEENS & Kings of New York; Bert "Berti/Bertha" Coffman, 3rd Vice-President of S.V.A. ; Williamson Henderson, S.V.A. Executive Director, and Jeremiah Newton, S.V.A. President, on Monday evening, May 19, 2003, at the famous Joe Franklin's Celebrity Club Restaurant in midtown Manhattan. Every summer for several years through 2010, Jeremiah Newton conducted a one-afternoon seminar at the actual Stonewall Club on Christopher Street for Gay students from his employer New York University. Jeremiah presented a slide show from the Stonewall Era and is usually joined in the testimonials and discussions by some other Stonewall veterans such as Dave West, Electra O'Mara, Terri Van Dyke, Storme DeLarverie, Ray McCaffrey or Williamson. One of the projects in progress on the personal lives and experiences of the Stonewall veterans is named "My Mother Told Me I Was Different". Its chief writer Carol Polcovar was recommended to and contacted the S.V.A. circa 1998. She initially spoke about its plans and possibilities with the S.V.A. 's then-president Jeremiah. Subsequently, Miss Polcovar had a planning luncheon with Williamson. Those two S.V.A. officers and several others including Storme DeLarverie, Terri Van Dyke, Electra O'Mara and Dave West were the first interviewed for this project. Jeremiah provided expert technical advice to the producers; Williamson equipped them with promotion strategies. Both vets obtained the commitment from the project to likewise support the S.V.A The latter never happened. Although presented as a play once in July 2003, with Jeremiah and Williamson specially invited and in the theater front and center, the "My Mother Told Me" project remains unfinished. On January 21, 2007 at the N.Y.C. 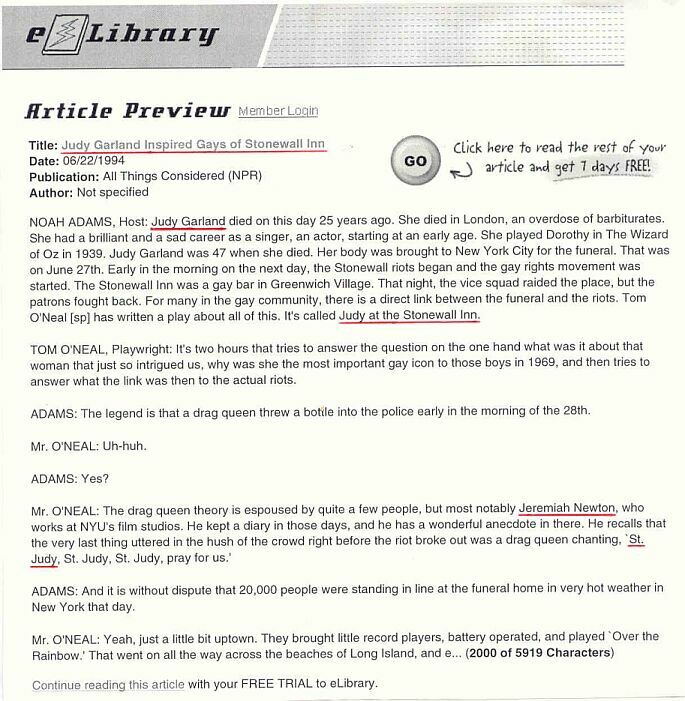 Gay Center, Carol & Company finally planned a sampling of the actual Stonewall interviews including Jeremiah. "MMTMIWD" is produced by New Village Productions. 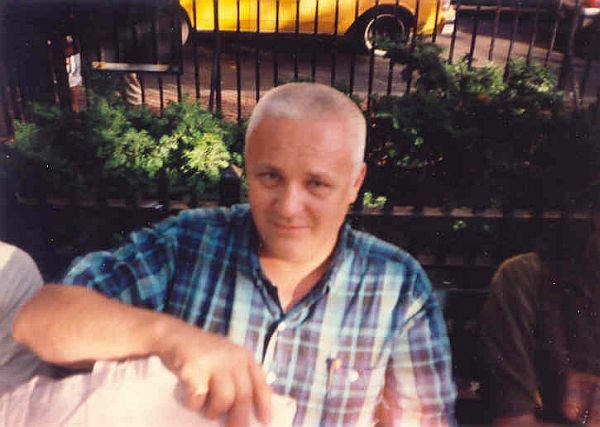 In June 2007, the SoHo Journal published an interesting, lengthy and accurate story by Lawrence Pfeil, Jr., entitled "Greenwich Village - Past, Present and Future: The Cradle of Gay Activism". In the article, the STONEWALL Veterans' Association is prominently referenced, including an activated link to the S.V.A website. There are quotes about the Stonewall Rebellion from Jeremiah and facts about the S.V.A. from Williamson. You may read the full story at: www.SoHoJournal.com/Stonewall/395. Professionally, Jeremiah Newton is producing an exciting, feature-length documentary about the demised Andy Warhol superstar and transgenderist Candy Darling. She was born a 'he' on November 24, 1944 and raised in Massapequa Park, Long Island. Once she crossed the gender boundary, Candy strived to be an actress. In her dramatic process, she became a fast-track celebrity in the youth-quaking late 1960s and the glittering 1970s in the Manhattan scene -- and way beyond. Jeremiah was personal friends with the legendary Candy and knows many of her intimacies. Read up on Miss Candy at: www.CandyDarlingSuperstar.com. Two of Candy's still-surprising and still-entertaining Warhol Factory films are "Flesh" and "Women In Revolt". Well-known Candy admirer Tennessee Williams cast her in his play "Small Craft Warnings". You will find a treasure trove of fabulous print photos, too. Candy actively dreamed of being a Hollywood star yet very tragically died of a deadly disease at the ultra young age of only twenty-nine. Nonetheless, Candy became a legend! You can learn more about Jeremiah's film project on Candy Darling at www.BeautifulDarling.com. At Thanksgivingtime 2007, Jeremiah thoughtfully offered to head up the S.V.A. 's forthcoming anniversary milestones and the celebrations of "Stonewall 39" this year 2008 and "Stonewall 40" in 2009 vis-a-vis the S.V.A. At the annual election meeting in December, Jeremiah was elected as the 2nd Vice-President of the S.V.A. The position places Jeremiah coordinating all S.V.A. projects and Gay community events involving the S.V.A. After the sudden S.V.A. "retirement" of First Vice-President legendary world boxing champion Emile A. Griffith on Memorial Day weekend in 2008, Jeremiah became the one and only S.V.A. Vice-President -- just like in the good old Gay days! Jeremiah proudly declared: "The year 2008 marks the 39th anniversary of the monumental Stonewall Rebellion. As we head toward the 40th anniversary, the Stonewall veterans are repositioning themselves in terms of leadership in the national Gay, Lesbian, Bi and Transgender" ("GLBT") movement. Jeremiah Newton and Williamson Henderson and some S.V.A. Executive Committee members are developing a strategy of leadership regarding these historical milestones of the GLBT movement in connection with the fortrhcoming Stonewall commemorations." These S.V.A. Stonewall commemorations -- the 39th, a huge appetizer for the 40th -- will involve symposiums, newspaper stories, biographies, magazine articles, dinners, interviews, rallies, tributes, documentaries, parties, television shows, forums and parades. In January 2008, Jeremiah took steps regarding the planning of "Stonewall 39" including an international Gay, Lesbian, Bi and Transgender ("GLBT") organization. On February 4th, SVA's Mr. Newton testified before the Streetfair Activity Committee of New York City Community Board 2 on behalf of the S.V.A. 's annual streetfair with the Village twist of being at a different and larger location. At an S.V.A. meeting, Jeremiah spoke directly to three N.Y.C. Councilmembers about the City Council Gay Pride celebration and the proper inclusion of the S.V.A. 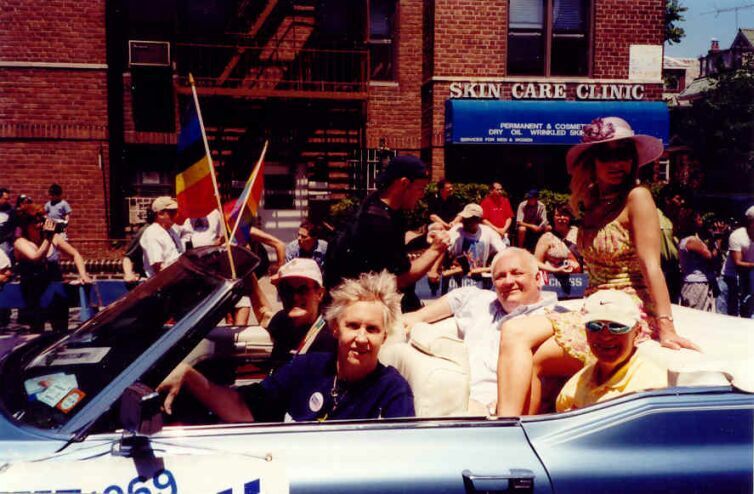 In May, it was speaking at a Heritage of Pride membership meeting expressing the appropriate demand for several convertibles for Stonewall veterans leading the Gay Pride Parade or an actual decorated float for the S.V.A. 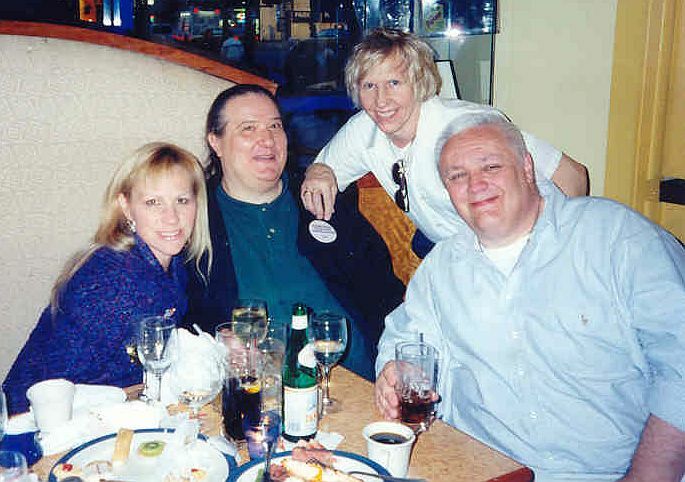 In early November, Jeremiah appropriately chaired the "Tears for Terri" tribute and dinner. 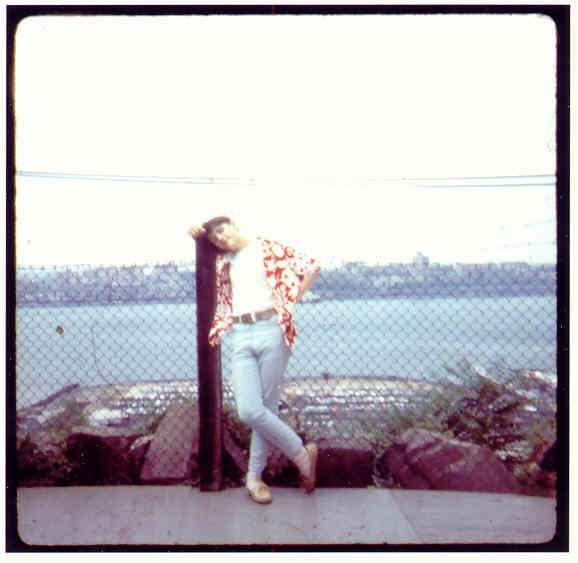 Terri Van Dyke was a longtime Greenwich Village friend from the mid-1960's of scouting on Christopher Streeet and cruising on Greenwich Avenue. Over the decades their friendship blossomed to an intimacy so to speak. For Terri's din-din, the S.V.A. symbolically chose a restaurant on Greenwich Avenue. Jeremiah offered up the first toast and clang-clang-clang went the glasses to his ancient Gay acquaintance! For the 40th anniversary of the Stonewall Rebellion, one of the events that Jeremiah Newton participated in was as a Stonewall veteran panelist on stage at the "SVA's Annual Conference & Stonewall Veterans Reunion" held on Gay Pride Weekend at the New York City Gay, Lesbian, Bi and Transgender (GLBT) Community Center in Manhattan. The well-attended and exciting event was covered by local Gay (New York Blade) and non-Gay (New York Times) print media and shown on two local television news segments (New York 1 News and Fox New York). Gourmet foods prepared by S.V.A. members and supporters added to the event dishes! The following day after Gay Pride Week, Jeremiah participated, once again at Stonewall, the 40th anniversary of the STONEWALL Veterans' Association! Remembering the Stonewall Rebellion that Birthed a Movement! including Jeremiah Newton in addition to Williamson Henderson, Peter S. Fiske and Leigh McManus. Jeremiah Newton's documentary on Candy Darling is released! Congratulations, Jeremiah Jay 'Jerry' Newton! Congrats on your new free-lance position of Film & Television Liaison + Consultant! Jeremiah Newton spoke at the STONEWALL Rebellion Veterans' Association's "S.V.A. 45th Annual Conference & Stonewall Veterans Reunion". The yearly unique event commemorates the 1969 Stonewall Rebellion. Actual veterans of the 5-night uprising in front of the Stonewall Club are introduced, speak to the captive audience and take questions from the crowd. Entertainment is by legendary Sandy Rapp of Southampton, LI. 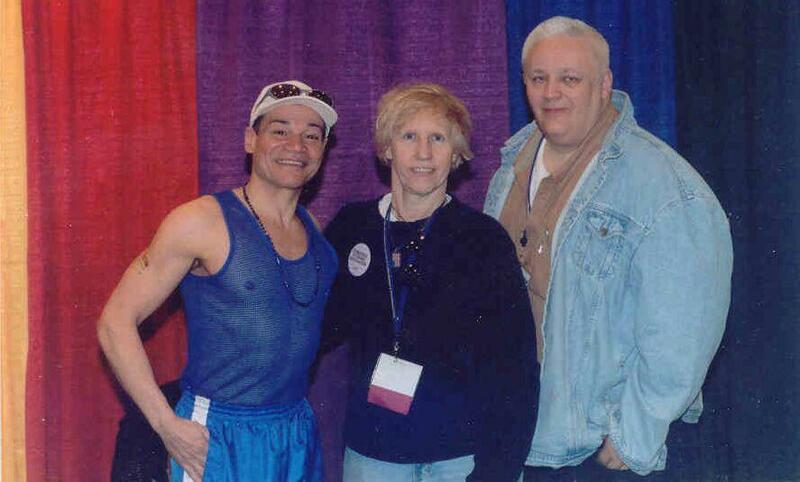 The happening was on Saturday, June 21, 2014 at the New York City GLBT Community Center in Manhattan from 4:15 to 7 p.m.
Feb. 2: Jeremiah's 70th Birthday! movie director Roland Emmerich, including new "STONEWALL!"